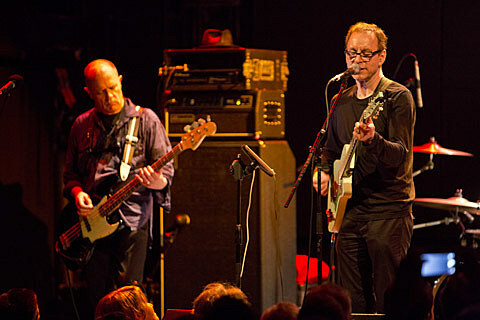 In their nearly 40 years of existence Wire have never been a band to keep still or rest on their laurels. Although sometimes, wrongly, defined within certain narrow musical genres Wire’s oeuvre has always ranged across a wide range of styles and influences whilst the membership, individually and collectively have always had good relationships, both working & personal with artists across a number of fields. So it is perhaps not surprising that in 2013 Wire launched the first of a series of Festivals entitled DRILL in London in March 2013. The concept is simple, it’s an unpretentious city festival featuring artists from across all genres actively curated by Wire with a lot of input from local, informed media partners (in the case of London, The Quietus; in the case of Seattle, KEXP) The concerts take place in small venues with great sound systems. There are no big ticket acts playing for over inflated fees. Wire go for the best in upcoming local talent combined with friends who just want to be part of it. A couple notes on the line-ups. “Drill” is a collaborative group, and the Wire Pink Flag Guitar Orchestra will close the final night (11/23) at Neumos. Will will also be playing unannounced, opening for another band — “you’ll have to figure that one out yourselves!” says the band. Wire, who were in NYC over the summer, play some other West Coast dates before DRILL:Seattle and all are listed below. DRILL:London took place back in March and you can watch video of that version of the Pink Flag Guitar Orchestra below.